Sometimes, hardworking folks can be unfortunate enough to be victimized by the negligence of their employers. When the safety conditions of the workplace aren’t properly looked at, workers might be victims of injuries. Workers deserve some benefits when they sustain injuries. However, sometimes due to nonchalant treatment by employers, getting these benefits might become something of an issue. This issue shouldn’t be faced alone. It is important that you let a work injury attorney help you. In El Cajon, CA, you can get a topnotch work injury attorney at Rawa Law Group. We (Rawa Law Group) have some of the finest work injury attorneys here in California. We are aggressive advocates for the injured. We have a combined legal experience of more than 55 years and have helped resident workers in gaining their deserved benefits which have run into several hundreds of millions. Our services come with a number of leverages. We offer you a free consultation. So you do not have to worry about upfront costs until we must have been through with your case. As we walk with you through your case, we will keep you informed from the start to the finish. We also ensure that you do not ruin the chances of success by giving you sound legal counsel at no hidden charges. We often offer flexible appointment hours to our clients. If your injury is severe and has made you immobile, our attorneys can visit your home or hospital. 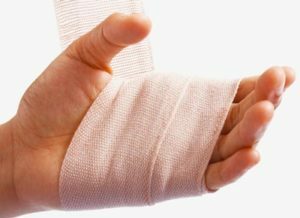 For full legal representation to maximize your injury claim, hire a topnotch work injury attorney in El Cajon, CA by coming to us at our address.